ALAS, it’s that time of the year again, where love must be expressed through flowers, chocolates and pretty gifts. Well, if you can’t beat them, why not make it a special day to spend some quality time with your loved one? There’s not much more of a satisfying way, or more of a Malaysian way, than to celebrate with a feast. Leave the hassle of cooking for other days, let these Valentine’s options do the hard work for you. Presided over by chef Daniel Cheong, Sage is known for its consistency in producing solid, tasty dishes. Those familiar with the restaurant would know that although there may be no surprises — some prefer it that way, at least they’ll be getting a good meal. Valentine’s Day set menu: Japanese fusion style three-course starter and palate cleaner + main and dessert. Dinner only on Feb 14. Price: RM328 nett per person. Location: 6th floor, The Gardens Residences, Mid Valley City, Kuala Lumpur. Enquiries and reservations: (03) 2268 1328 or [email protected]. 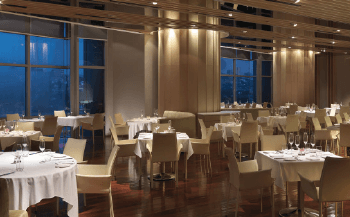 Opened just last year, western-dining restaurant Rougeur is going all out to make it a special occasion for lovers and romantics with its Valentine’s Day dinner package. Each dining couple will get a complimentary two photos with personalised frames, chocolates and roses. There will also be a live performance from 7pm to 10pm by The Raw Note. Due to popular demand, the restaurant has extended its promotion to Friday, Feb 13 as well. There are limited tables left. Dinner is served from 6pm. Valentine’s Day menu: Western cuisine five-course meal — appetiser, soup, main course and dessert. A specialty mocktail is also served. Location: 1st floor, Menara Tokio Marine Life, Jalan Tun Razak, Kuala Lumpur. Enquiries and reservations: (03) 7782 8909 (Mea), (03) 7783 8908 or [email protected]. Somewhat shielded between buildings, this popular “back alley” (more like clean open space) at Plaza Faber, Taman Desa, comes alive in the evening with a laid-back ambience of background chatter, BBQ smoke and delicious Japanese-style barbecue on metal grills over hot charcoal fire. Here’s an opportunity to have a relaxing, hearty and down-to-earth date with your loved one, as you kampai over some sake. You can order from the Yong Tau Foo stall opposite it as well. Operating hours are from 6pm to midnight. Valentine’s Day menu: Ala carte. Ask for any specials. Price: RM10 toRM25 per dish. Location: Centre Court, Plaza Faber, Jalan Desa Jaya, Kuala Lumpur. Enquiries and reservations: Walk-in only. 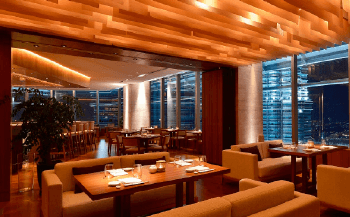 Go all out with an indulgent experience at “celebrity” restaurant Nobu’s, complete with a sweeping vista of the Petronas Twin Towers. Available on Friday, Feb 13 and Saturday, Feb 14, dinner comes with a complimentary glass of bubbly and a box of in-house made chocolate truffles. Dinner starts from 6pm to 11pm, with the lounge open until midnight. Valentine’s Day menu: Seven-course dinner with sushi bar starter trio. Location: Level 56, Menara 3 Petronas, Persiaran KLCC, Kuala Lumpur. Enquiries and reservations: (03) 2164 5084. Sitka calls itself a neighbourhood eatery, but its inspirations go as global as the modern food scenes in Copenhagen, Barcelona and London. Chef Christian Recomio arrived in Southeast Asia to look for new ideas, notably in combining traditional ingredients with modern techniques, working with small local producers and farms to encourage sustainable food practices. Their Valentine’s menu reflects this simplicity, but expect some curious combinations. Sitka is open from 8pm to late night on Valentine’s Day. Valentine’s Day menu: Three-course tasting menu. Only available on Feb 14. Location: 8-5 Jalan Batai, Bukit Damansara, Kuala Lumpur. Enquiries and reservations: (03) 2011 1117 or [email protected]. This article first appeared in The Edge Financial Daily, on February 11, 2015.